Marcus® Hotels & Resorts, a nationally recognized hotel owner and management company and division of The Marcus Corporation (NYSE: MCS), today announced the promotion of Mike Swasey to senior vice president of operations. Joe Sebestyen has been named area vice president of operations and Linda Price Topp has been promoted to vice president of sales. Swasey joined Marcus Hotels & Resorts in 2015 as area vice president of operations with more than 20 years of hospitality experience. In his new role, he will be responsible for overseeing the division's area vice presidents, managing directors, corporate sales, and Wisconsin Hospitality Linen Service (WHLS), as well as three of the company's premier properties in Milwaukee and Los Angeles: The Pfister Hotel, InterContinental Milwaukee and The Garland Hotel. 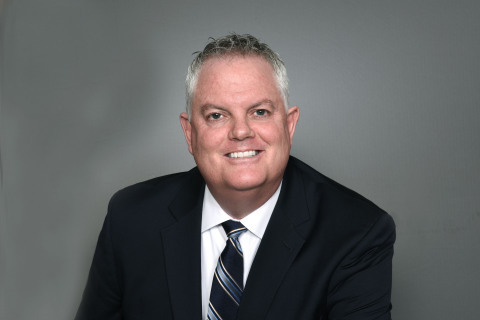 Prior to joining the company, Swasey served as vice president of hotel operations for Alena Hospitality, based in Orlando, Fla. His prior experience includes serving as vice president of asset management for Inland American Lodging Management, L.L.C. (now Xenia REIT) in Orlando, Fla., and serving in operations roles for B.F. Saul Company - Hospitality Group, Bethesda, Md. ; Legacy Hospitality, Inc., Albuquerque, N.M.; InterContinental Hotel Group, Atlanta, Ga. and Sage Hospitality, Denver, Colo. Swasey graduated with a bachelor's degree from Brigham Young University in Provo, Utah and holds a master's degree from the University of Utah in Salt Lake City. He serves on the American Hotel & Lodging Association Food & Beverage Committee and is a member of HAMA (Hospitality Asset Managers Association). Sebestyen joins the company with over 20 years of experience with hotels, conference centers planning, development and operations. In his new role, he will oversee several of Marcus Hotels & Resorts' properties nationwide, including: AC Hotel Chicago Downtown, Skirvin Hilton in Oklahoma City, Hilton Garden Inn in Houston, Texas, Westin Atlanta Perimeter North in Atlanta, Ga., Omaha Marriott Downtown in Omaha, Neb., Lincoln Marriott Cornhusker Hotel in Lincoln, Neb., Platinum Hotel & Spa in Las Vegas and the Heidel House Resort & Spa in Green Lake, Wis. Prior to joining Marcus Hotels & Resorts, Sebestyen served at Hotel Equities, a hotel management company based in Atlanta, Ga. where he was responsible for a portfolio of 20 properties across the Midwest. He also served as a regional director with the Compass Group, where he was responsible for the oversight of eight corporate conference centers and services and oversaw integrated facility management for ExxonMobil, Merck, The World Bank, CSX and Thunderbird Executive Conference center. Sebestyen's experience also includes serving as a regional director for Marriott International, where he contributed to the development of the company's brand standards and balanced scorecard for sales and operations and was recognized as the Marriott General Manager of the year in 1999. His hospitality experience also includes facilitating a program on understanding conference centers within the Professional Development Program at the Cornell School of Hotel Administration. He has served as president of the International Association of Conference Centers (IACC) - a global organization with over 300 membership properties, where he received the Distinguished Award of Excellence in 2010. Sebestyen is a graduate of Southern Illinois University and currently serves on the Hotel and Restaurant Advisory Board at Oklahoma State University. Price Topp joined Marcus Hotels & Resorts in 1993 in a sales role at Grand Geneva Resort & Spa in Lake Geneva, Wis. She then went on to serve as the director of sales and marketing at The Pfister Hotel in Milwaukee, Wis., the company's AAA-Four Diamond hotel. She was promoted to market director, sales, marketing and revenue strategy for the Milwaukee market in 2009 responsible for Marcus' three downtown Milwaukee properties. In her new role, she will oversee sales efforts for all 17 properties within the company's portfolio, as well as continue to manage the company's Milwaukee market sales team. Her extensive hospitality experience includes sales roles at La Costa Resort & Spa and Sugar Bay Plantation Resort in St. Thomas, USVI. Engagements in the travel management industry at American Express and Summit Performance Group round out her industry experience. "Mike and Linda have a deep understanding of our business and have been outstanding performers in their operations and sales roles. We are also pleased to welcome Joe to Marcus Hotels & Resorts. His extensive hospitality experience and operational expertise will be an excellent addition to our business as we continue to grow our portfolio," said Joseph Khairallah, president and chief operating officer of Marcus Hotels & Resorts.